This two-bedroom condo for sale in South Boston is income-restricted, and in this case, buyers’ household annual income can’t exceed $126,291. 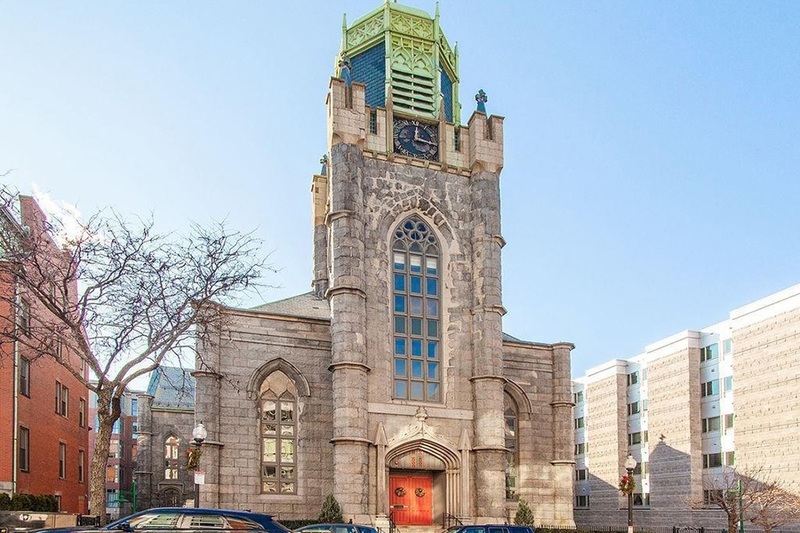 There are a few other stipulations, but if that sounds like you, you could settle into the former St. Peter and Paul’s Catholic Church for less than $500,000. 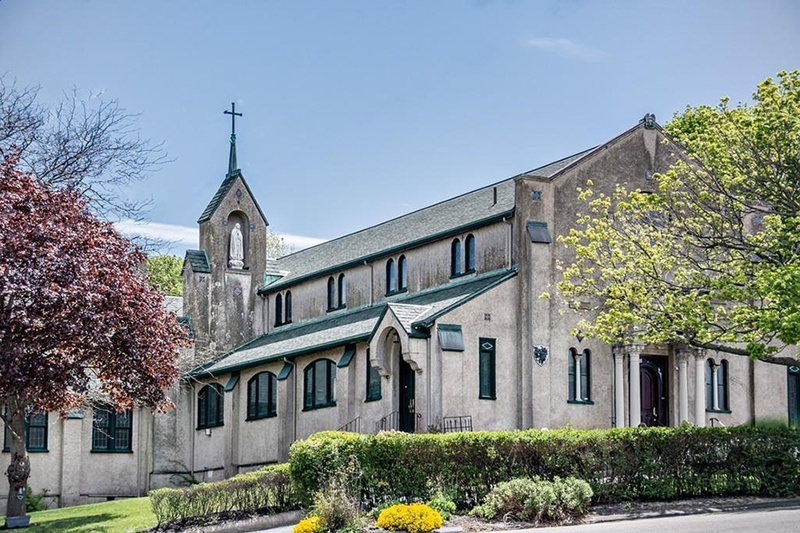 This Catholic church-turned-home overlooks Hull Bay, offering more than 10,000 square feet of living space. Once known as St. Mary’s of the Bay, the church was sold in 1998. Since then, the building has lent its incredibly high ceilings, unique architectural details, and stained glass windows to only a few lucky homeowners. 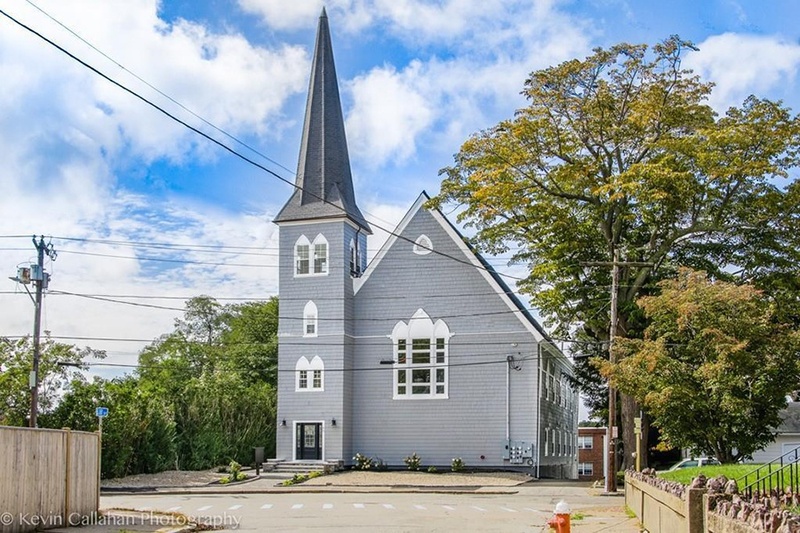 This picturesque chapel in Winthrop has multiple units for sale within it, including this one-bedroom condo for $390,000. The interior of the 1900 church was recently renovated, and now offers a gleaming new kitchen, a spiral staircase, and recessed lighting. The cherry on top? The place is across the street from a park.